With large volumes of stormwater putting a strain on sewers and other infrastructure nationwide, Sustainable Drainage Systems (SuDS), which drain and hold back rainwater in a more natural way, can be a key tool for the prevention of flooding and environmental pollution. However, putting them in place requires collaboration between multiple stakeholders, including water companies, developers and local authorities. 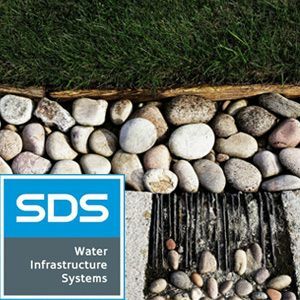 In this handy WWT guide, sponsored by SDS Ltd, we explain the benefits and challenges of implementing SuDS, the different types of solutions available, the regulatory backdrop and the practical steps involved in their installation and use. In order to receive this download free of charge I am happy to share my contact details with the download sponsor, SDS Limited. SDS Limited would like to keep you up to date with their products and services. Please tell us the different ways they can contact you.